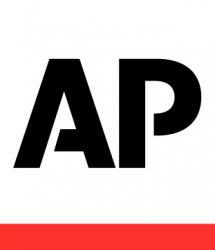 SEOUL, South Korea (AP) — Forget Facebook and Twitter. Two of Asia’s biggest social media players, Kakao Talk and Line, are growing by making mobile messaging apps an integral part of the lives of young Asians who prefer to communicate more privately instead of shouting out in virtual arenas and risking troubles with trolls — or disclosing aspects of their lives to their parents they’d rather not share. Kakao Talk is the top messenger app in South Korea, with more users than Facebook or Twitter. People use it to hail cabs and transfer money, advancing toward a cashless society. Even South Korean government officials prefer Kakao chat rooms for communicating with colleagues as opposed to email. In Japan, where Line users outnumber those on Facebook or Twitter, people buy cute digital stickers to link to messages and use the app to search for music and jobs. In doing so, the apps are serving as test beds for digital services, demonstrating ways the latest trends in technology and communication can be integrated with daily life in the 21st century. Above all, they are making money, although some of their products, such as digital stickers, would be a hard sell in other markets. Silicon Valley investors and tech startups everywhere are watching closely. Here’s a look at Kakao Talk and Line, Asia’s top messenger app companies. KAKAO TALK: Headquartered on the southern island of Jeju, South Korea. The app was released in 2010. OWNED BY: Kakao, South Korea’s No. 2 Internet search engine, which counts former Naver CEO Kim Beom-su as the largest shareholder. NUMBERS: 48 million active users globally, including 40 million in South Korea. Sales at the owner of Kakao Talk reached 932.2 billion won ($808.5 million) last year. HITS: Kakao Talk itself and its cute emoticon characters. The company was able to build on the success of Kakao Talk when it launched Kakao Story, an Instagram-like service which was at one point more popular than Facebook among South Koreans. But its user growth has been slowing. The latest big hit is Kakao Taxi, an Uber-like taxi hailing service. MAKING MONEY: The 2012 launch of Kakao Game proved its first big jackpot. Many mobile games adopted a business model where users would have to either invite Kakao Talk friends or pay to play more rounds or buy virtual items. This fueled huge growth in the mobile game market in South Korea, helping some game developers go public and amass cash. It also allowed advertisers like Uniqlo and mom-and-pop stores to interact with users one-on-one. CHALLENGES: Game revenue has declined since peaking in 2014 as game developers began to distance themselves to save commission fees. Following a controversy in 2014 over South Korean authorities’ seizure of Kakao Talk user data, many customers have migrated to Berlin-based competitor Telegram. Since then, South Koreans have become wary of what they say on the app, which has not severely dented its traffic but has hurt its reputation. EXPANSION: Kakao Talk has unsuccessfully tried to expand in Japan and Indonesia, both countries where Line is strong. Instead, the company has largely focused on developing new services for its huge Korean customer base. LINE: Headquartered in Tokyo. Founded in 2011. OWNED BY: South Korea’s No. 1 Internet search engine company Naver Corp. NUMBERS: 215 million active users globally, 68 million in Japan. Recorded 120.7 billion yen ($1.1 billion) in sales last year. HITS: Line has leveraged businesses such as merchandising of dolls and other goods featuring mascot-like characters such as Brown the bear. It also rakes in revenue from the sale of emoticon stickers, called “stamps” in Japan, to use with Line messages. Many stamps are free or cost very little, and Line has opened stamp designing to the public, enhancing their appeal. Cab drivers, for instance, use special stamps with their industry jargon handy for quick communication with other drivers in their team. Some 2.4 billion such stickers are sent each day, with sales reaching 25.3 billion yen ($224 million) last year. Free voice calls among Line users, including international calls, are another reason for its popularity. MAKING MONEY: Line has signed up major companies for advertising such as Toyota and online retailer Rakuten. It plans to expand its clientele, using its knowledge of users’ interests in targeting advertising. Such contracts now cost about 50 million yen ($500,000), but will be offered to small and medium-size businesses at lower rates. 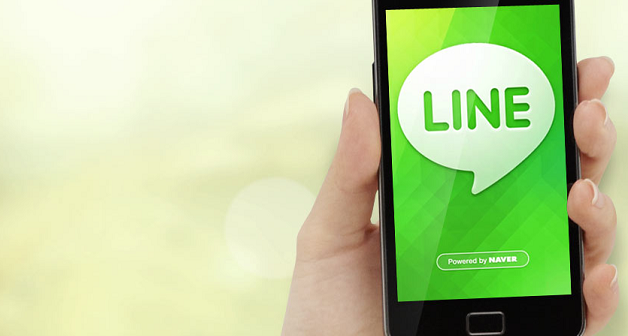 Line mainly appeals to young people, many of whom don’t have access to credit cards. To get around that problem, Line has come up with its own prepaid cards that can be charged at convenience-store chains. CHALLENGES: Line is entering the mobile operator service in Japan, to be launched in a few months, starting at an affordable 500 yen ($4.40) a month, using the telecommunications infrastructure of major Japanese carrier NTT DoCoMo. Nearly half of mobile phone users in Japan haven’t yet switched to smartphones, and Line hopes to attract those users when they finally make the switch. EXPANSION: Line has also been focusing on expanding to Thailand, Taiwan and Indonesia. To appeal to such markets, it has created locally oriented serial dramas to watch. It also offers music and job-search services and is branching into online news. ANALYST TAKE: “It is important for Line to continue focusing on its localization strategy,” said Jun Wen Woo, an analyst at IHS. “Users from Japan and Taiwan may have similar interests in Japanese comics, but users from Thailand and Indonesia might be more interested in other content such as games.” Line users have been dropping outside the four main countries, Japan, Taiwan, Thailand and Indonesia, she said. Facebook, which boasts 1.6 billion users globally, has about 16 million monthly active users in South Korea and 25 million in Japan. Instagram, the photo-sharing mobile app owned by Facebook, has 6 million users in South Korea and 8.1 million in Japan. Globally, Instagram has 400 million users. Facebook has been gaining traction along with Instagram in South Korea. Facebook’s users there jumped nearly 50 percent from 2013 to 2015. Twitter, meanwhile, has 320 million users around the world and 35 million in Japan, one of its largest markets. It is popular in Japan for to its quick, newsy feel and the option for anonymity that Japanese tend to favor. Koreans tend to view Twitter as a niche, alternative platform for people seeking to voice opinion anonymously. Twitter does not disclose a country-specific user number for South Korea. Seoul-based market research firm Rankey.com estimates that there are 1.2 million Twitter users in the country, but its estimate is based on a survey of 60,000 Android phone owners and does not include iPhone users.